Based on their debut Constellation Audio promises to be an exciting company! My first impression sonically and aesthetically is very positive. Among the new offerings were the Altair Linestage, Hercules Monoblock Amp, Sirius HD Digital Music Source and Orion Phono Preamplifier and Pyxis System Controller. Prices have not yet been set. These components are meant to be statement pieces visually and sonically. 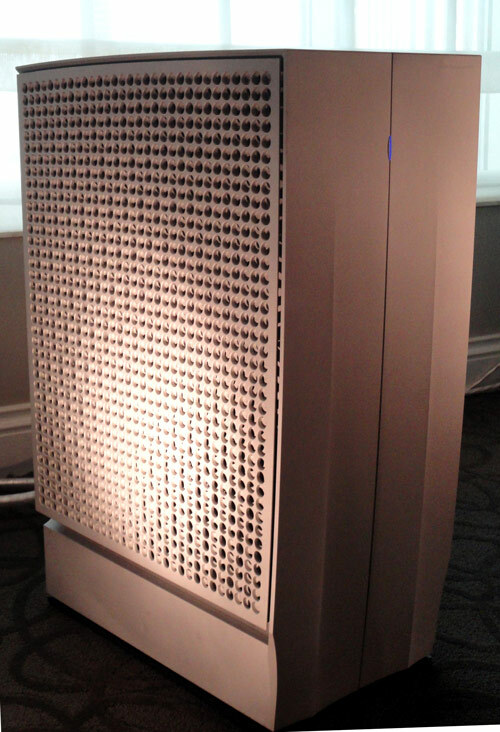 A tour de force speaker, the Tidal Sunray, was used in this debut exhibit. According to Constellation’s website, these components have been designed by a team of industry leaders in design; they sounded like it to me. The more affordable Performance Series on static display seemed attuned to the same standard of quality at its price point. System: Constellation Hercules Monoblock Amp, Constellation Audio debut system, Constellation Hercules Mono Amp and Tidal Audio Sunray Speakers, Static Display of Constellation Performance Series Components in development . 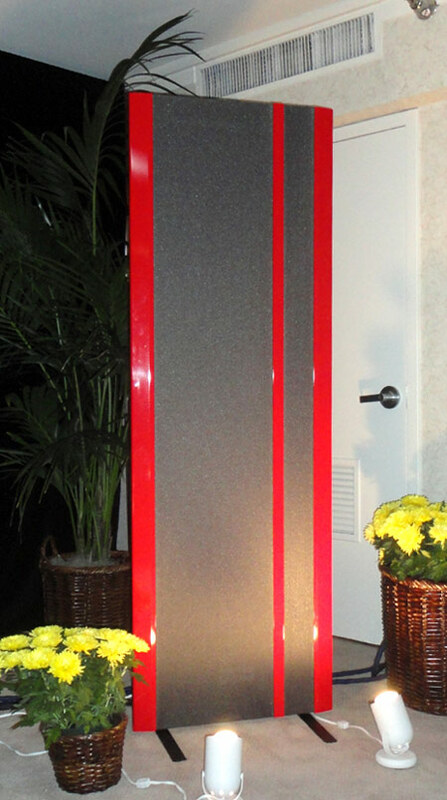 As an owner of the King Sound The King as my reference full-range electrostatic speaker I was curious to hear the updated King II ($11,500) at CES and King III ($11,500) at T.H.E. Show. An added treat was the appearance of the Emperor II, a prodigious tri-panel affair reminiscent of the Magneplanar Tympani IV. The Emperor’s soundstage made other panels sound puny. 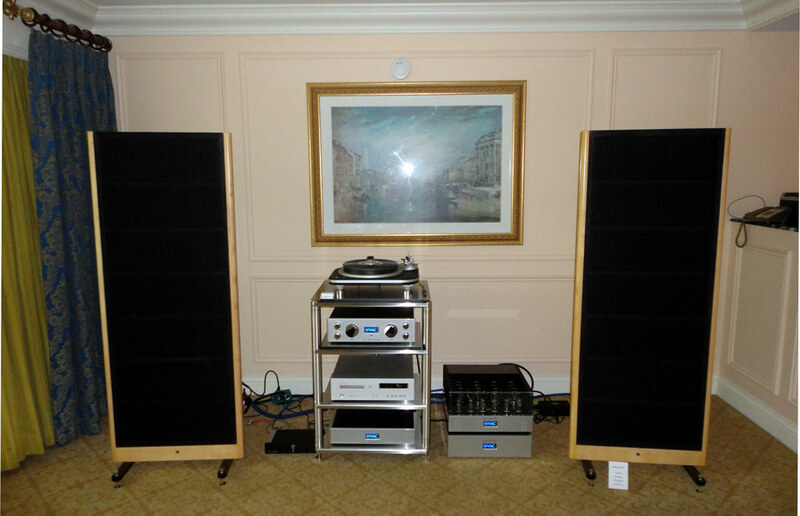 The additional power of the VAC (Valve Amplification Company) Statement 450S Stereo Amplifier ($32,000) along with the VAC Signature MkII Preamplifier with Phono stage ($19,000; reviewed without Phono stage) lifted the show demo to greater heights than previous exhibitions. 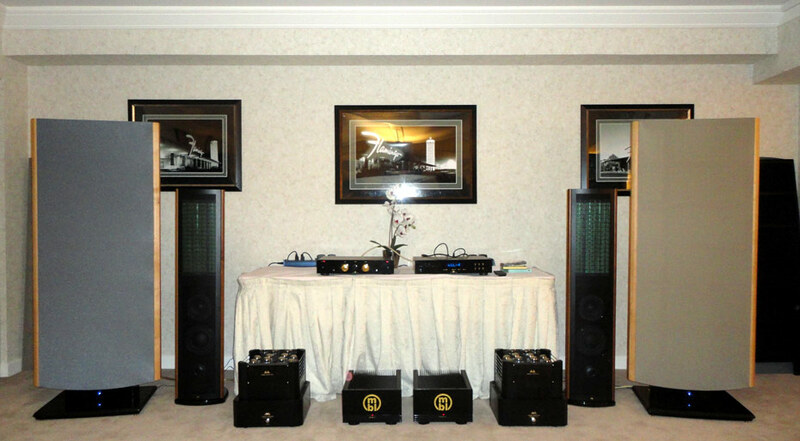 The speakers also utilized the VAC Royal Power Supplies ($1,300/pr). Fronting the system’s analogue was the Spiral Groove SG-2 Turntable/Tonearm ($15,000) and Lyra Kleos Cartridge ($2,500), as well as the digital source Luxman D-05 CD Player ($4,995). The performance of the King II was better than any previous demo at shows with the King, despite the less-than-optimal room setup. This bodes well for the speaker, as the King has been a sensational product in my long term use. This model may undergo slight revisions, such as the addition of a removable front grill. The King III has one less bass panel than the King II and has the crossover incorporated into the base of the speaker, whereas the King II has an external crossover. 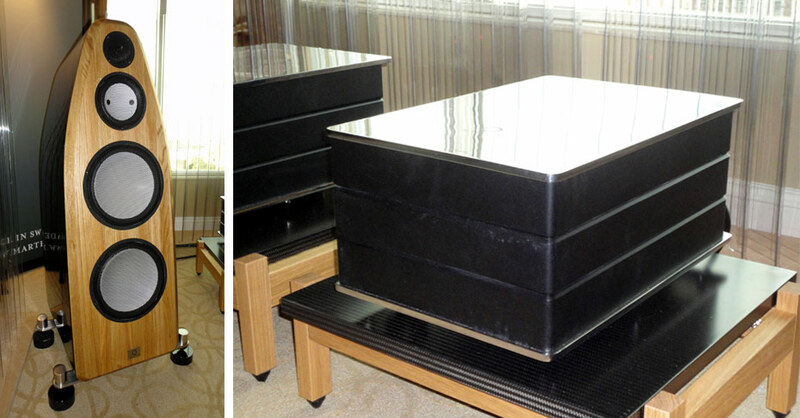 Magneplanar “stole the show” from Audio Research Corporation as people flocked to hear the world premiere of the new 3.7 speaker ($5,495). 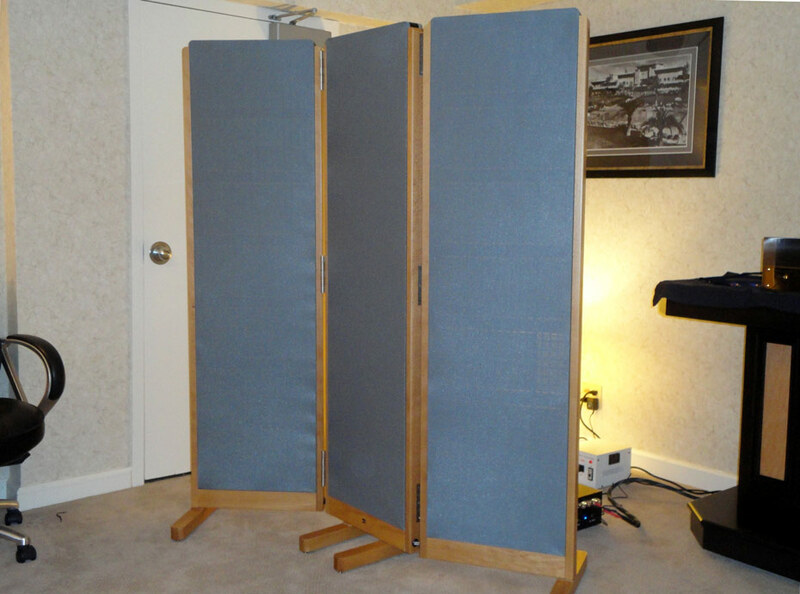 I include here pics from the Magneplanar room as well, which used Bryston amplification. 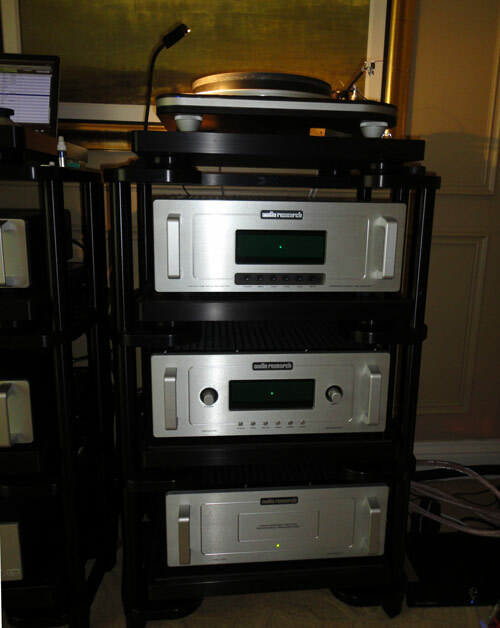 The Audio Research system included the Reference CD8 CD Player ($9,995), DAC8 USB-S/PDIF digital converter ($4,995), Reference Phono 2 Preamp ($11,995), Reference Anniversary Line-Stage Preamp ($24,995) and DS450 Power Amplifier ($7,995). The Analogue front-end was the Spiral Groove SG1.1 Turntable ($25,000), Spiral Groove Centroid Tonearm ($6,000) and Lyra Kleos Cartridge ($2,500). Cabling was the Shunyata Research Python Series. I was able to hear portions of two tracks very briefly in stereo mode on both systems. 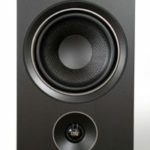 Though the coherence of the speaker was noticeably improved, the bass response seemed similar to the 3.6. The 3.7 displays the expected speed, detail and soundstage expansiveness, but neither of the 3.7 systems impressed in terms of timbre. Both of the systems leaned toward being clinical rather than romantic, warm or full bodied. 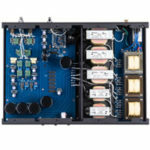 The 3.7 continues the Magneplanar’s tradition of making speakers with superb value, but in these demonstrations the 3.7 would have been more engrossing with quality tube amplification. System: Magnepan Magneplanar 3.7, Spiral Groove SG1.1 Turntable with Centroid Tonearm and Lyra Kleos Cartridge, Audio Research Reference Phono 2 Preamplifier, AR Reference Anniversary Linestage, AR DS450 Power Amplifier Magneplanar 3.7 in red; Bryston front-end in Magnepan room. Swedish high-end company Marten showed two new products, both compelling; the Coltrane 2 speakers ($95,000) coupled with the M-Amp Mono Power Amplifier ($45,000). Also in the system were the EMM Labs XDS1 ($25,000), EMM Labs Pre 2 ($15,000), EAR Discmaster Turntable ($20,000), Dynavector XV-1s Cartridge ($6,000), EAR 324 Phono Preamp ($7,000), Jorma Design Prime and Origo Cabling (totaling $25,000), and Marten M. 3 Shelf system and Mono shelving x2 (total $13,000). The utilization of more sizable 11” ceramic sandwich woofers extended the crisp and flawlessly clean performance of the system. Ceramic-based drivers are showing up in ever greater numbers of thin profile speakers, but to my ear Marten is doing the right thing by not diminishing the size of the ceramic bass drivers. This was one of the few rooms to treat the room, and it contributed to an intimate, stimulating demonstration. 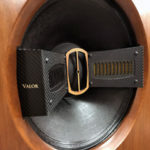 My initial read of the Rives Audio room is that the company did very well in acquiring Talon Audio a couple years ago. 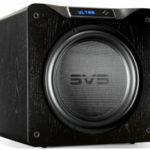 Rives seems to have a potent product on their hands with the Phoenix speaker. 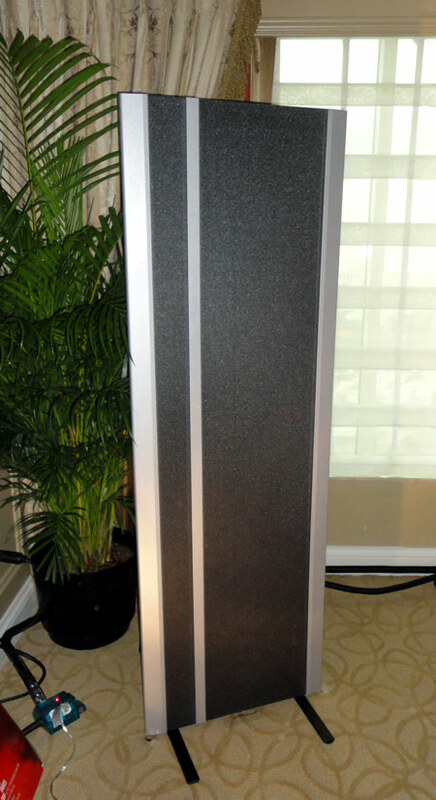 My preliminary reaction is that people seeking a medium sized to larger floorstanding speaker look into it. 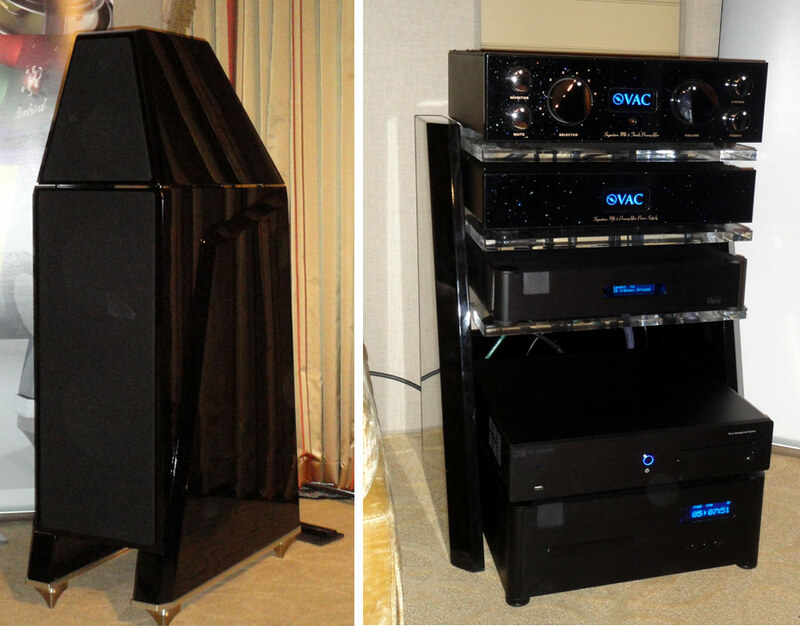 I was not surprised to once again see VAC Signature MkIIa Preamplifier ($15,000 line stage; $19,000 with Phono) and Statement 450S Dual Mono Amplifier ($39,000) amplification in use, as VAC gear has a wonderful capacity to draw out the best from speakers. 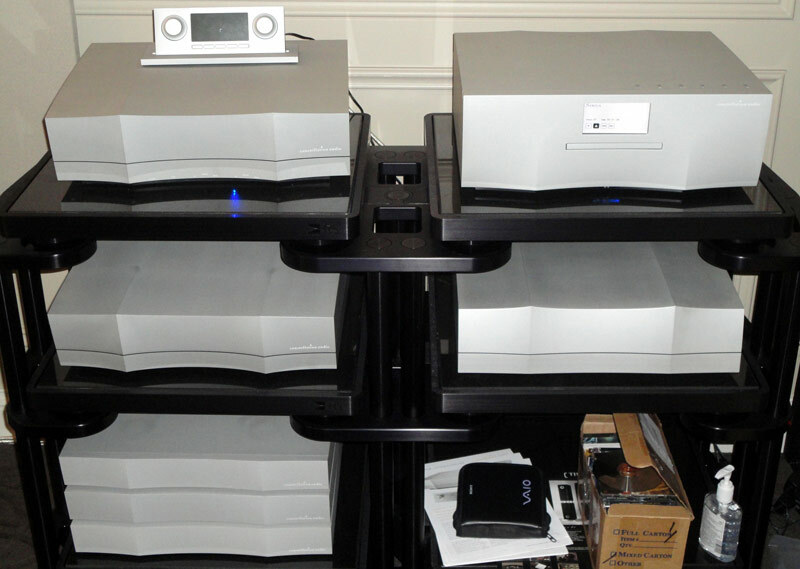 The digital sources were the combination of the Wadia 571 CD Transport ($7,950) and 522 Decoding Computer (preamplifier/DAC, at $9,450), as well as the Qsonix Q205 High Performance Digital Music Management System ($7450). Kubala-Sosna cabling rounded out the system, with a price range of $1,400 for the Emotion Power Cable to $6,000 (for 1st meter) for the Elation Speaker Cables. This was the top room of my listening on the first day of the show, and one of the top five among all show entrants. This was the best performance of a Wadia front-end I have heard at shows.